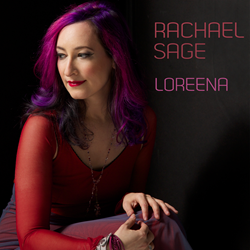 NYC-based musician Rachael Sage releases an animated lyric video for her song "Loreena" off her latest album "Choreographic". 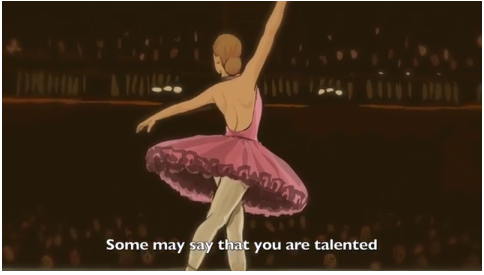 The video features a collaboration with illustrator Dan Paul Roberts. The story of "Loreena" follows our main character, Hope, as she travels back to her hometown - where she pays a visit to Loreena, a childhood friend estranged by time, distance and the choices life has pushed upon them. The short film explores themes of freedom vs responsibility, and the nature of friendship, family, and the complexities of life and relationships. Dan Paul Roberts is an artist and illustrator living in Honolulu, HI. Follow him on Instagram @sirdanpaul or check out his Emporium of Wonders on Pinterest @deepeearr. Jazmine Uyehara is an illustrator and student living in Honolulu. See more of her work at jazmineu.tumblr.com. Rachael Sage has had an illustrious career as an independent artist, respected and praised by the likes of the Wall Street Journal, New York Times, Rolling Stone and Billboard. She has shared the stage with Ani DiFranco, Sarah McLachlan, and Shawn Colvin and her songs have appeared on MTV, HBO, Fame soundtrack and Lifetime TV's Dance Moms. She has made a name for herself as one of the most active touring artists in independent music with her dynamic stage show, signature flair and colorful stage banter. Billboard has said "her keen ironic sense of humor and quirky sense of the profound is what makes her special as a songwriter" and RollingStone.com called her a "genuine talent." In addition to her activities as an artist, Rachael runs her own record label, MPress Records, since 1996. She released her new album Choreographic in May on MPress. Produced by Sage and Andy Zulla (Kelly Clarkson, Rod Stewart, Megan Hilty), the album features 13 brand-new chamber-pop gems, and showcases her touring band, The Sequins. For more information on Rachael Sage including full tour dates, please visit: http://rachaelsage.com.